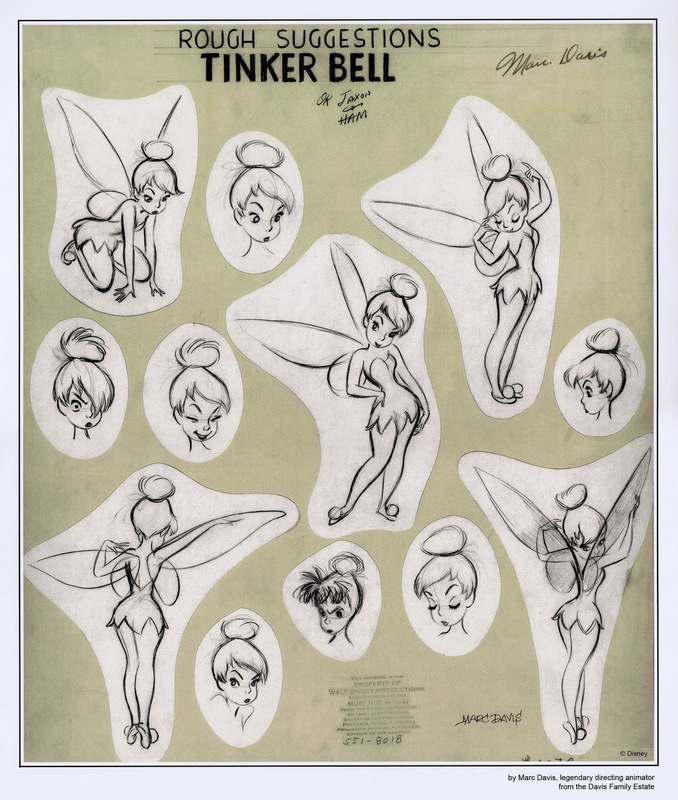 We all know that Tinker Bell is primarily the creation of Marc Davis. But several other artists explored her character's design as well, including story men like J.P.Miller and Joe Rinaldi. 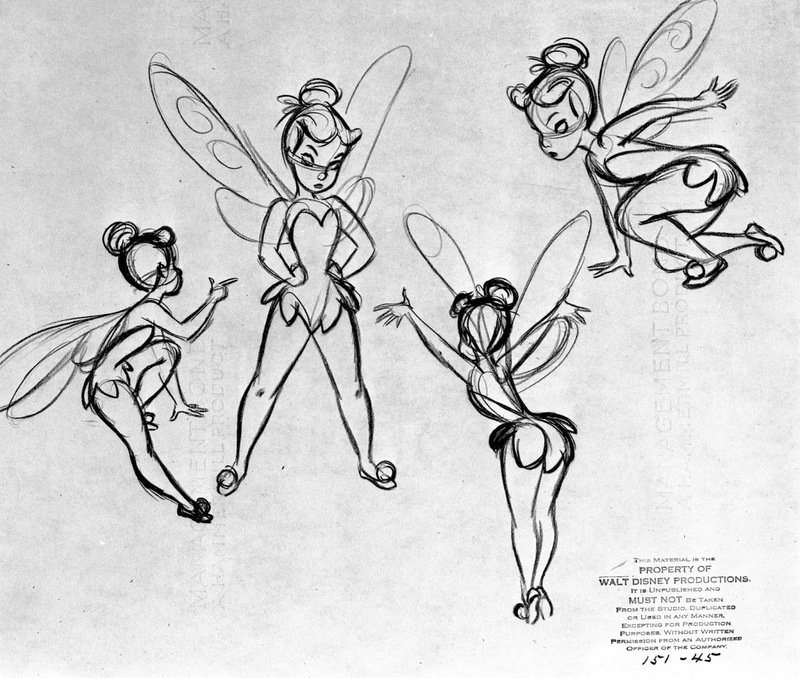 Milt Kahl drew these poses based on earlier research, and the only differences to the final model I can detect have to do with her hair style and the length of her legs. They are drawn a little shorter in this version. 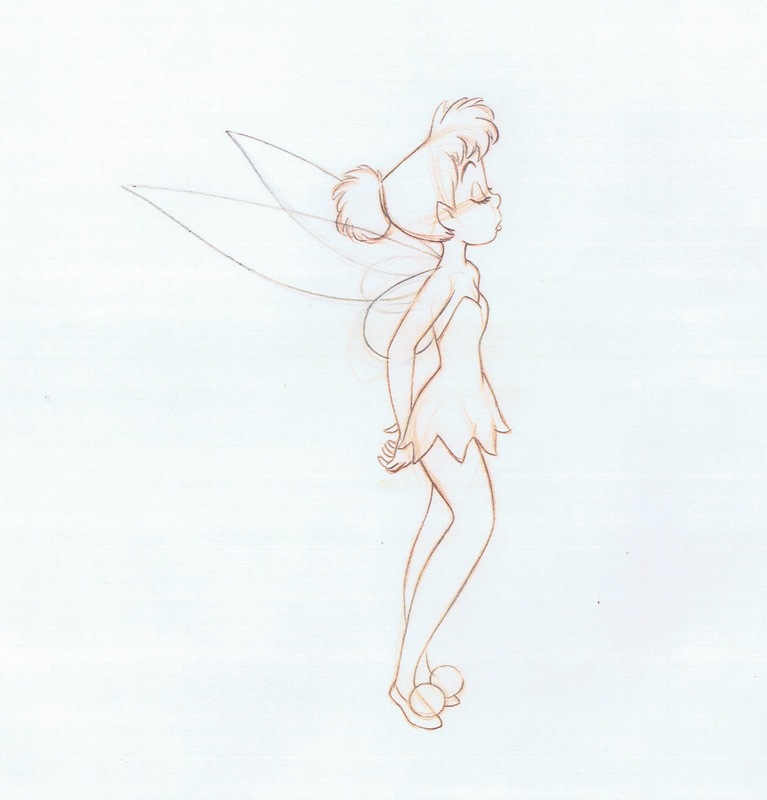 Marc's definitive model sheet of Tinker Bell shows perfect proportions in her figure as well as her face. By drawing the mouth so low she instantly looks younger and less realistic. The round cheeks add to her pixie appearance, and the lines defining her legs are elegant s-curves. A mute character, but so full of life. 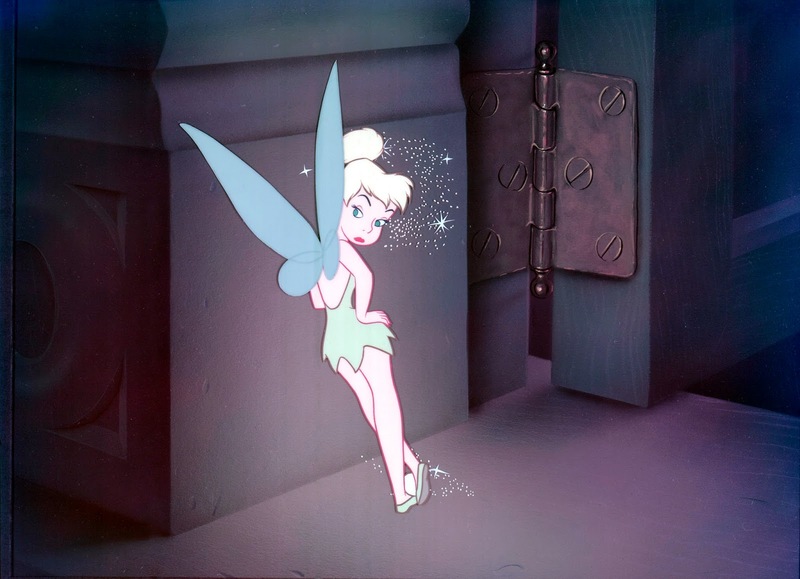 Marc's clean up assistant on Tinker Bell was Claire Weeks. He was able to maintain the delicate accuracy found in Marc's rough animation drawings, as you can see in these clean ups. 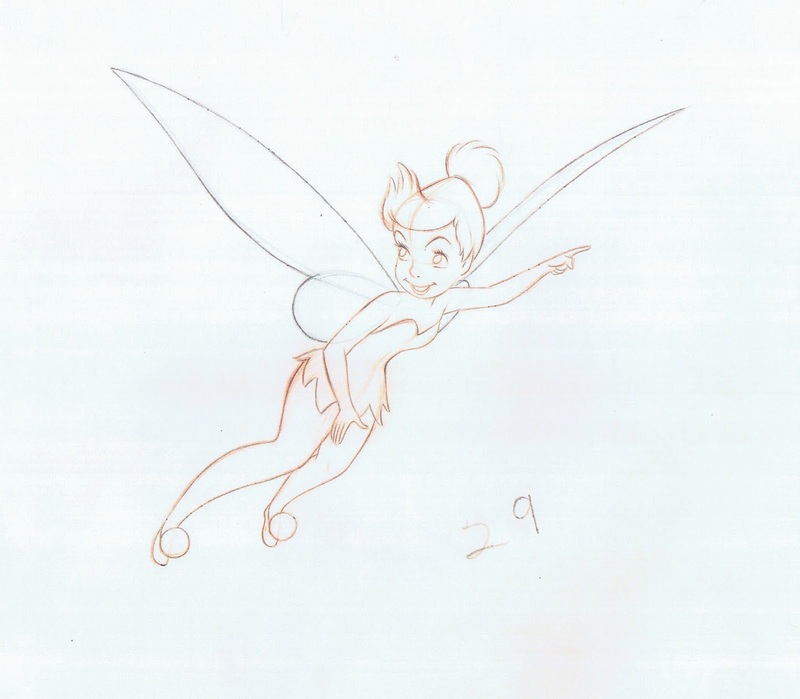 Milt Kahl's assistant Stan Green told me once that he (Stan) considered Weeks' work too perfect, almost sterile. I don't know about Stan's statement, after all his boss wouldn't pass anything that wasn't perfection. Professional jealousy, I guess. A beautiful cel set up with Think at the window sill.